TinCan/xAPI is the latest industry standard for recording user activity statements. 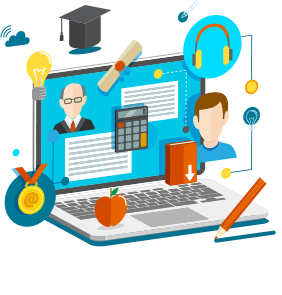 Put simply, modern day online learning management systems allow all sorts of user activity to be recorded and stored onto what is known as an Learning Record Source or an LRS. What this means is that when a user enrolls, starts a course, takes a quiz, submits an assignment watches a video, a learning activity is said to take place and the cloud based LMS can keep a record of that activity or – in case of xAPI, send it to an external LRS for storage and later use. How can I use TinCan/xAPI with ScholarLMS and why is this important to me? The eLearning industry is expanding everyday and while you may think your business is small right now, it can grow and become huge in a very short period of time. Alternatively, if you already have a huge database, you already know how important storing user activity is for your LMS. Out of this valuable data, you can track a student or a group of students, define various learning paths, modify your courses to match the requirements of your students and so on and so forth. When you are migrating from an LMS to another, this data becomes incredibly valuable as well. The possibilities are endless. Inside ScholarLMS you can use TinCan/xAPI within ScholarLMS by launching TinCan content using an external URL or upload content to the LMS itself and access it from there. You can then link to an LRS account and store all user activity statements there.